Begin by making a simple tomato sauce: gently sauté a few garlic cloves and some fresh sage leaves in olive oil. When the garlic is just beginning to brown, add the canned tomatoes, and let it simmer, always on gentle heat, until the tomatoes have reduced nicely to a saucy consistency. Add the cannellini beans, season with salt and peppers, and allow them to simmer in the tomato sauce for about 10 minutes or so, just long enough for them to absorb the flavor of the sauce. Test for seasoning, adjust if need be, and serve your fagioli all’uccelletto immediately. 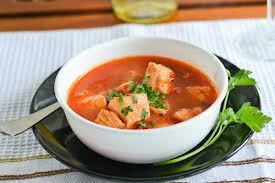 In a large pot, add the canned tomatoes and herbs, then cook on low while preparing the remaining ingredients. Place the sausage in a large skillet over medium heat, and brown on all sides. Remove from skillet, and slice. Add the sliced sausage and any drippings to the pot with the tomatoes. Add the oil to the same skillet that you used for the sausages. Stir in the onions and garlic, and cook for 2 to 3 minutes. Add the peppers, and then stir in the wine/beer. Continue to cook and stir until peppers and onions are tender. Once tender, add the vegetables to the pot with the tomatoes and sausages. Let everything simmer on low for an hour. If you find that the sauce is a bit too watery, take about 3 tablespoons of liquid from the pot and mix it with the cornstarch. Once dissolved, add this cornstarch slurry back to the pot. It will thicken up the sauce. Serve hot. This is a traditional tomato sauce that I have adjusted to reflect a kosher kitchen: meaning that the salt pork and ham bone have been removed, and substituted with an equal amount of olive oil and the use of a beef marrow bone. Should you wish to make the sauce pareve, or vegetarian, you can leave out the bone all together. This recipe will make about 4 cups of sauce. Preheat oven to 300°F. Tie the sachet ingredients into a cheesecloth sack using a piece of kitchen twine. In a heavy, oven-safe Dutch oven, bring the olive oil up to temperature. Add the carrots, celery, onions and garlic and sauté for a few minutes until the onion is translucent but not brown. Add the tomatoes, the beef bone (if using), the stock and the sachet. Bring to a boil, cover, and transfer the pot to the oven. Simmer in the oven, partially covered, for two hours. Remove from oven. Remove sachet and bone and purée sauce in a blender or food processor until smooth, working in batches if necessary. Season to taste with Kosher salt and a small amount of sugar — just enough to cut the acid edge of the tomatoes. Serve hot. If not serving the sauce right away, keep it covered and warm until you’re ready to use it. Creole sauce, also referred to as creole tomato sauce, and sauce piquant in New Orleans, is a Creole cuisine, Bahamian cuisine and New Orleans cuisine sauce made by sautéeing vegetables in butter and olive oil. It is used in the American south and in Bahamas. This recipe will make about 2 cups of sauce. In a heavy-bottomed saucepan, sauté the onions, green pepper, celery and garlic until the onions are translucent, about 5 minutes. Add the tomato sauce, bay leaf, oregano and lemon zest. Bring to a simmer and cook for about 15 minutes. Remove bay leaf, season with the salt, pepper and cayenne and serve right away. * click here for my tips on zesting lemons and other citrus. This tomato sauce with a spanish flair can also be refered to as a sofrito – which in Spanish cuisine, consists of garlic, onion, paprika, peppers, and tomatoes cooked in olive oil. While there is no paprika in this recipe, the additions of the the mushrooms and olives add a nice earthy and salty kick. This sauce is great on meats and poultry, or even just over pasta. This recipe will make about 2 cups of sauce. In a heavy-bottomed saucepan, sauté the onions, green pepper and garlic until the onions are translucent, about 5 minutes. Add the mushrooms and continue to sauté until the mushrooms are soft. Add the tomato sauce, bring to a simmer and cook for about 5 minutes. Season with the salt, pepper, Tabasco and olives, then serve right away.